Rylee James Douglas passed away March 19, 2019, in a car crash. He was born on May 24, 2001, in Thermopolis. He attended school and was raised in Hot Springs County. When younger he enjoyed living and helping on the family ranch, riding goats, walking through the alfalfa and feeding baby animals. As he grew older his mind expanded and he yearned for new experiences, a bigger city life. Some of his career ideas involved stockbroker by day comedian by night, museum curator, military analyst and most recently attorney. He was an avid reader, mostly historic nonfiction, and could answer questions on, and quote most of, histories influential people. He had a quick wit, beautiful smile, and amazing brain. 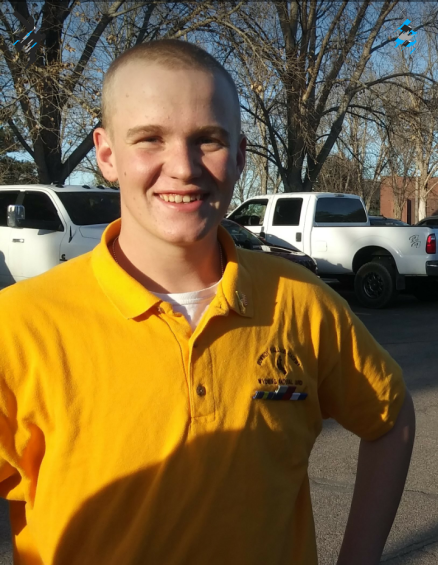 On December 8, 2018, he graduated from the Wyoming Cowboy Challenge Academy. Rylee came out of the program beaming and proud. With high school behind him he began pursuing his future and was accepted to Clark College in Vancouver, Washington. He took a job at McDonalds to save money for his new life journey. Rylee was to move to Washington State in late June and start college this fall. Rylee is survived by his parents. Allison Wrye and Clayton Douglas; brothers, Owen Douglas and Neil Douglas of Thermopolis; grandparents, Vickie Roseberry of Wyoming, Kim “Mimi” Douglas of Worland and Steve (Tracy) Wrye of Oregon; great-grandmothers, Ruth MacDonald of Montana and Muriel (Mert) Swing of Worland; aunts and uncles, Nathan (Bobbi) Douglas, Brian Douglas, Sarah Douglas, all of Worland, Kim (Steve) MacDonald and Kristin (Chris) MacDonald, all of Maine, Nolan Willett of Washington, and Dylan Chaput of Massachusetts; great-aunt Sally MacDonald of Montana; and cousins Jordan, Zach, Wyatt, Taylor, Aubrie, and Addie. Rylee was preceded in death by his great-grandparents, Alfred MacDonald of Montana, Gloria and Leonard Wrye of Massachusetts, George Winchester of Wyoming, and Dean and Mickey Douglas of Wyoming; and grandfather Tom Douglas of Wyoming. A memorial service was held on March 26 at the Community Hall. It was officiated by Nate Douglas.